Matthew Komus has a skeleton key to some of Winnipeg's creepiest locales and he wants you to hang out with him — well, not literally. But executions are part of the city's darker lore and Komus's Winnipeg Ghost Walk tour will take you to the surprising place they happened. "In Old Market Square, a lot of people don't realize, there used to be one of the first prisons in the province," he said, adding that in the late 1800s, a life sentence for a crime really meant death. So that modern gathering place, popular for concerts and food trucks and winter skating, was also the scene of three hangings. 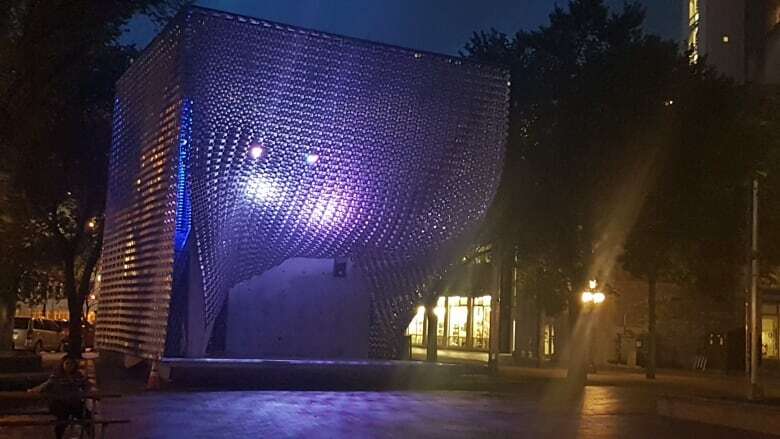 "If people go there now for summer time — it's Fringe Festival and it's Jazz Festival and you're out enjoying a beer next to the Cube stage — if you went back to the 1870s and looked up, someone would have been swinging from the gallows right above you," Komus said. "This actually happened and this was the spot it happened on." The author of Haunted Winnipeg often uses that spot to set the tone for his tour, which focuses its attention around the Exchange District and reveals, among other things, who is still performing — almost 100 years after his death — at the Burton Cummings Theatre and where the most haunted building in Winnipeg stands. One of the city's best known spots for ghost stories is the 114-year-old Fort Garry Hotel on Broadway, but lesser known — though possibly just as haunted — is the Marlborough Hotel on Smith Street. The building, which opened in 1914 as the Olympia Hotel, once had a live-in residence on the top. The woman who lived there had a piano in her suite and would put on concerts for hotel staff and guests, Komus said. After she died, her suite was renovated into meeting rooms at the hotel. But to this day, hotel guests and employees say they will often hear a piano playing. "Sometimes it'll be in the middle of the night and they can hear piano music. The only problem is, they haven't had a piano there in over three decades," Komus said. He has been giving the tours for nine years now, and was struck with the idea after working for about six years as a tour guide focused on history and architecture. He kept being asked, "Is this building haunted?" or "Does this building have a ghost?" "I started to realize there was a lot of interest or demand for that," Komus said, noting that he once led a modernist architecture tour and over the entire summer, it saw a grand total of 12 people. When he offered his first ghost tour, by comparison, it was a cold and wet night and Komus expected no one to show up. Instead, 20 hardy souls were ready to go. The tours have become so popular now that reservations are advised, even though 50 people can be accommodated during the 90-minute walk. His stories have been gathered from newspapers and other literature, through interviews, and by watching news clips like the 1979 CBC story about the hauntings at the old Masonic Temple at the corner of Donald Street and Ellice Avenue. 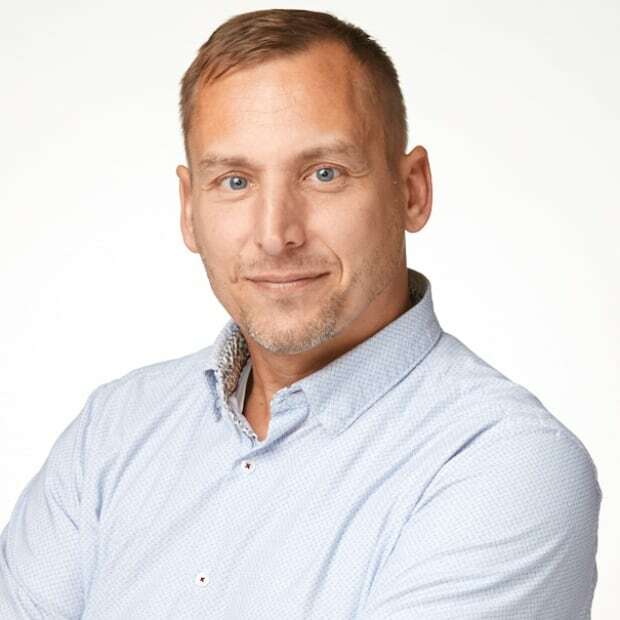 While most places have been open and willing to chat about their unexplained phenomenon, Komus did run up against some resistance from churches, cemeteries and old Catholic-run schools when he was writing his book. "None of them wanted to take part. But by and large, businesses were pretty much on board with it," he said. Winnipeg's wealth of the supernatural has long been acknowledged, even getting a nod from Sir Arthur Conan Doyle. The Sherlock Holmes author had become interested in spiritualism and life after death when he passed through the city in 1923. "When I considered the wonderful psychical phenomena of the one circle seen with my own eyes and the religious atmosphere of the other, I came away with the conclusion that Winnipeg stands very high among the places we have visited for its psychic possibilities," the author said. Despite his many tours, Komus admits he hasn't actually encountered any of the ghosts he talks about. However, he did have a scare at Seven Oaks House Museum, one of the oldest surviving residences in Manitoba, where he worked — and where he says he would sometimes hear inexplicable noises. One day, it was footsteps on the front porch. That isn't unusual in itself, since people like to use the grounds or walk through. But that year, staff had put out some ant poison in the yard and Komus wanted to warn anyone who happened to be dog walking. He went to check on the person who was walking around, but no one was there. He and his co-worker walked the perimeter of the building and met at the back without seeing anyone. "We checked the bushes, checked around and there's just not a single person on site," he said. 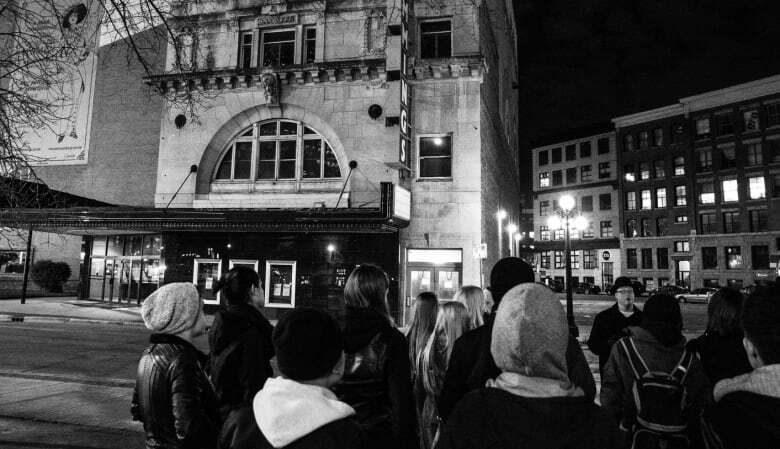 ​The Winnipeg Ghost Walk tours began for the season on Oct. 5, and run every Thursday, Friday and Saturday in October, as well as Oct. 30 and 31. They go from 7 p.m. until 8:30 p.m. Tickets are $15 for an adult and $12 for students and seniors. 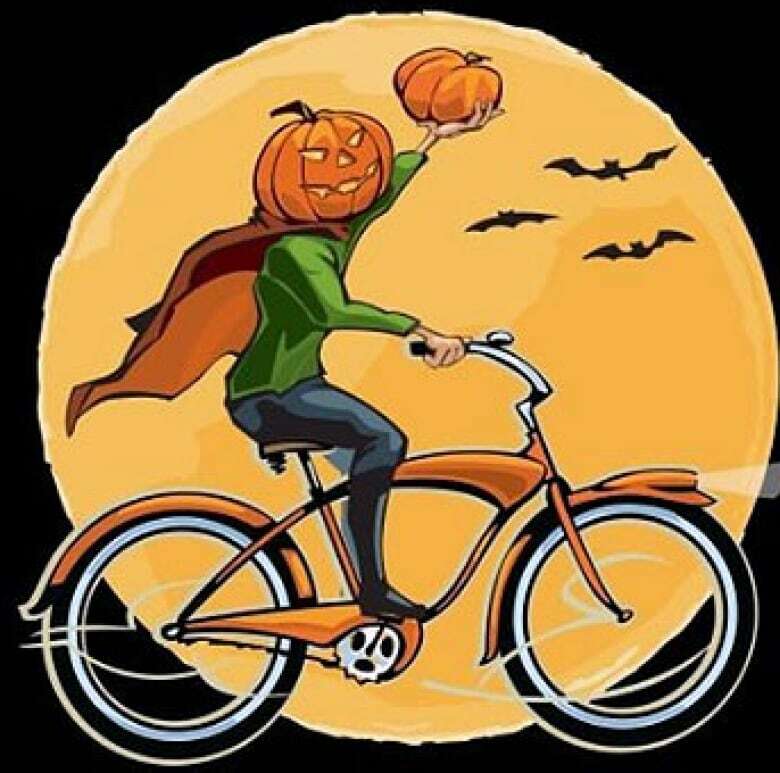 For those so inclined, a different version of the ghost tour is being peddled for Oct. 28. Organized by Bike Winnipeg, the pedal-powered tour goes from 7 p.m. until 8:30 p.m. and will take participants through downtown and the Exchange District, and into Old St. Boniface. 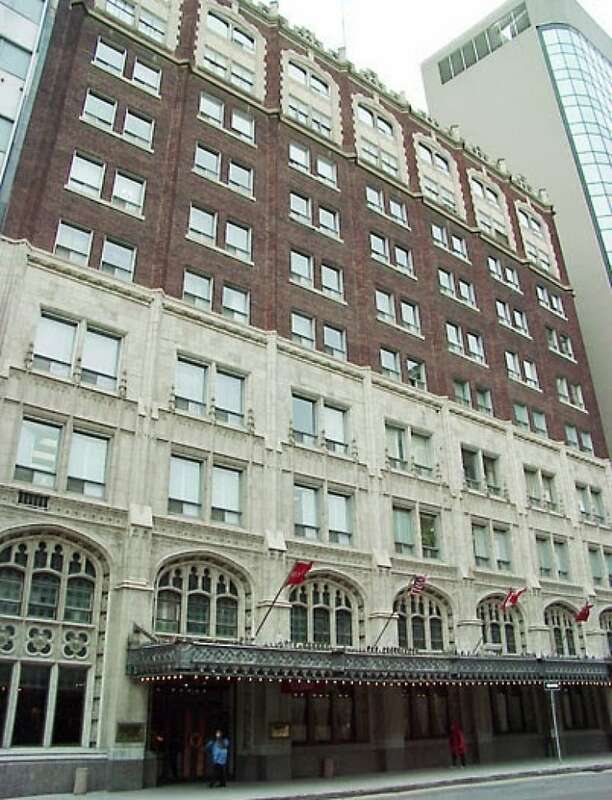 The tour will include, among other tales, stories about a woman vanishing into thin air at the Fort Garry Hotel and spirits reaching out from beyond the grave at the Pantages Theatre. "Early Winnipeg was a booming city full of excitement, with no shortage of murders, cheating lovers and tragic accidents. 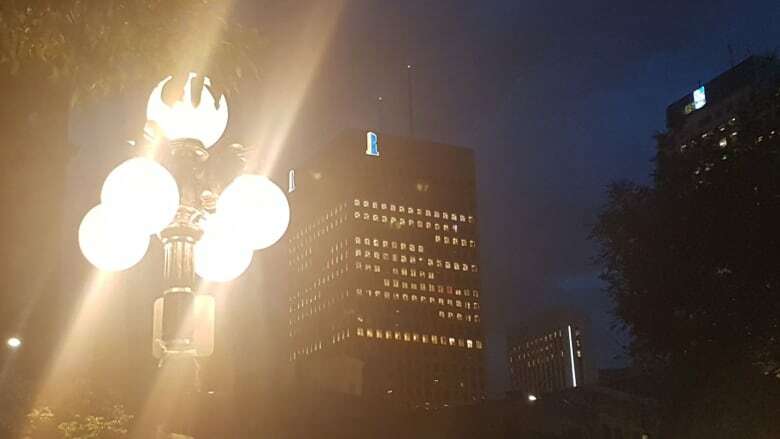 All play a role in Winnipeg's reputation as one of Canada's most haunted places," the event bill states. The pedal-powered ghost tour starts at The Forks skating canopy. Tickets are $15.